Little River Designs, is named after a river that meanders through the property of business owner and jewelry designer; Lynn Graham. Laid back with a surprise at every twist and turn Little River, like Lynn's jewelry is designed and inspired by Nature itself. Using only the highest quality materials that is expected from someone who takes great pride in the pieces that she creates. Each piece is individually handcrafted and is truly unique and one of a kind. An outdoors woman and very particular. Lynn hand picks the Semi precious gemstones used in her pieces and also polishes stones she gathers herself from her outdoor experiences. A painter, kayaker, hiker and snowmobiler Lynn experiences all four seasons and her inspiration comes from the colors and textures she comes in contact with while enjoying what nature provides. Lynn's creative background began as a painter and graphite artist. 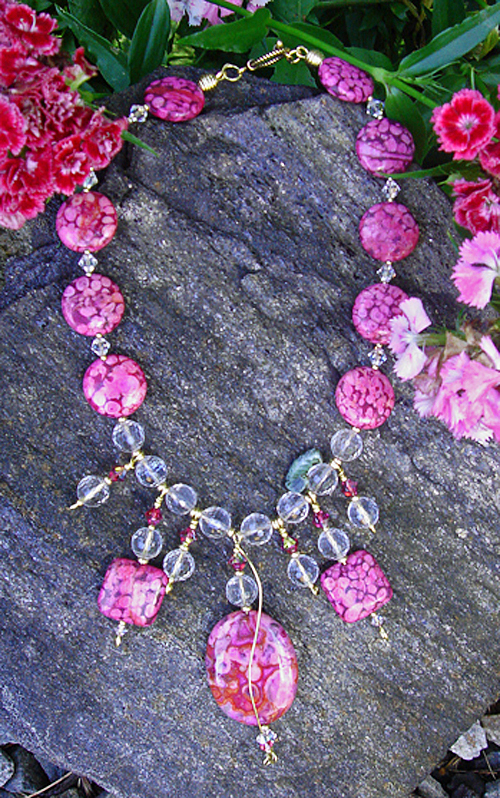 The love of nature coupled with years of creating artwork and working with her hands, drew her to creating wearable art. It allows her to express herself in something to be worn and appreciated. Little River Designs pieces were featured at the 2012 Mercedes Benz Summer Fashion Show in Miami Florida. Visit Little River Designs's profile on Pinterest.